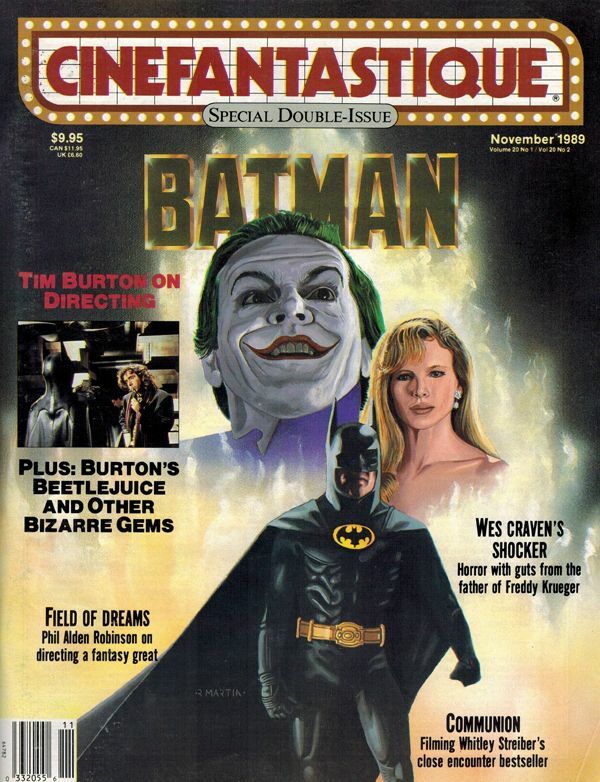 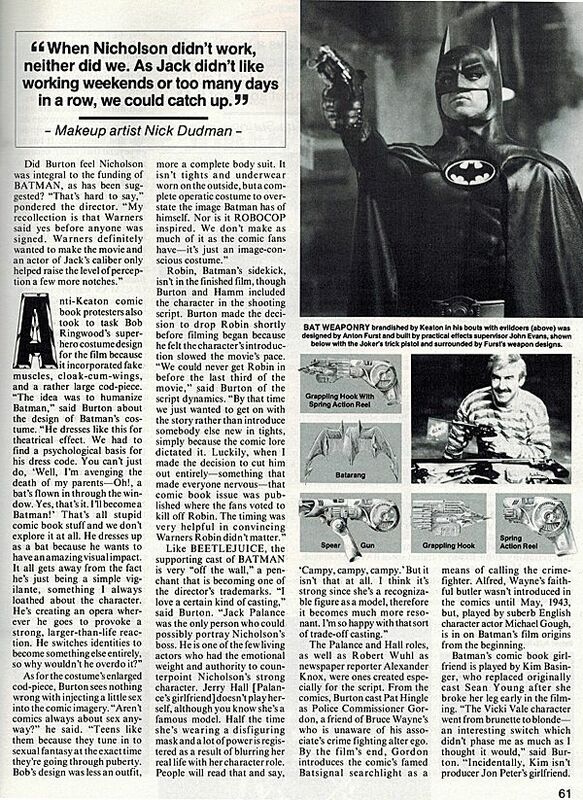 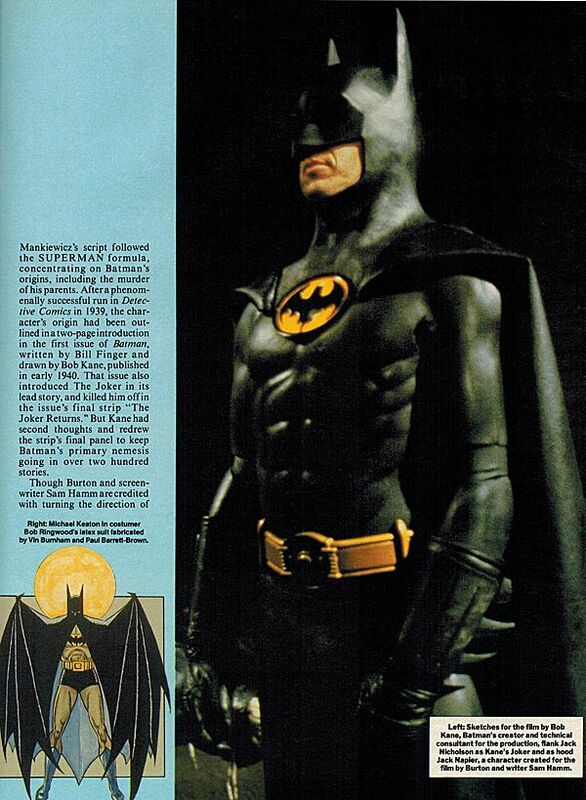 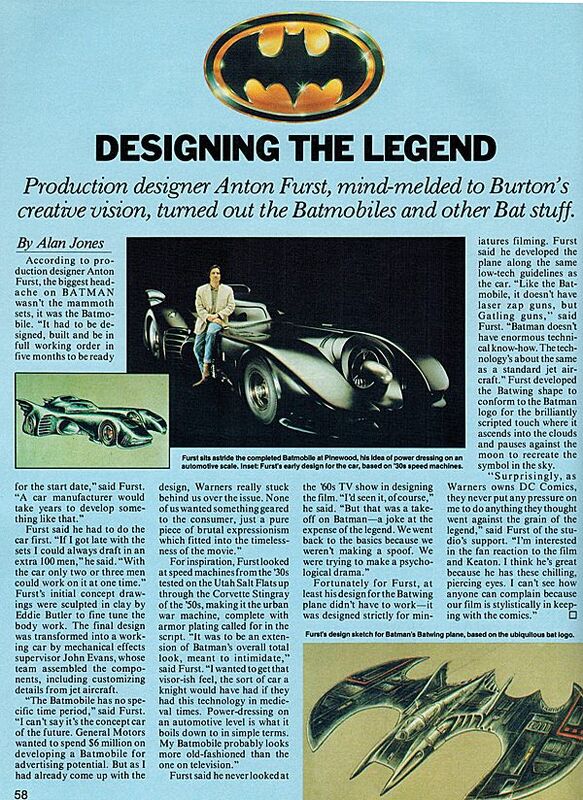 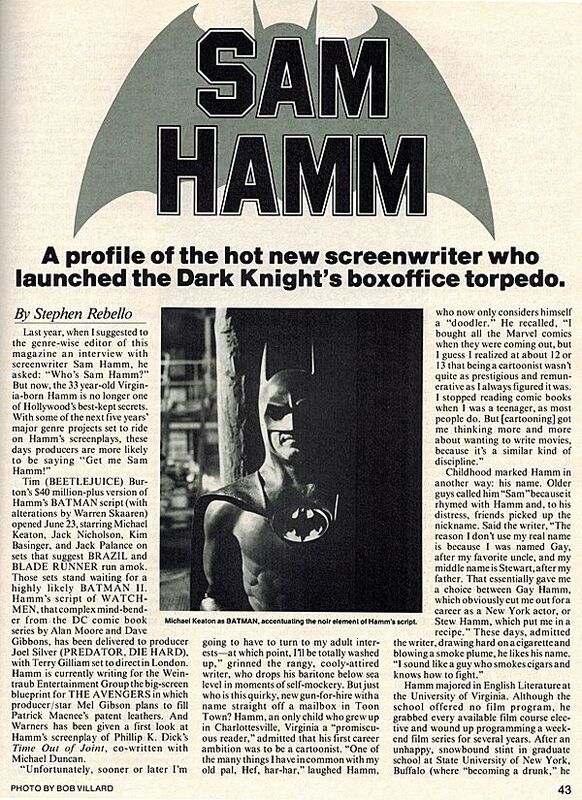 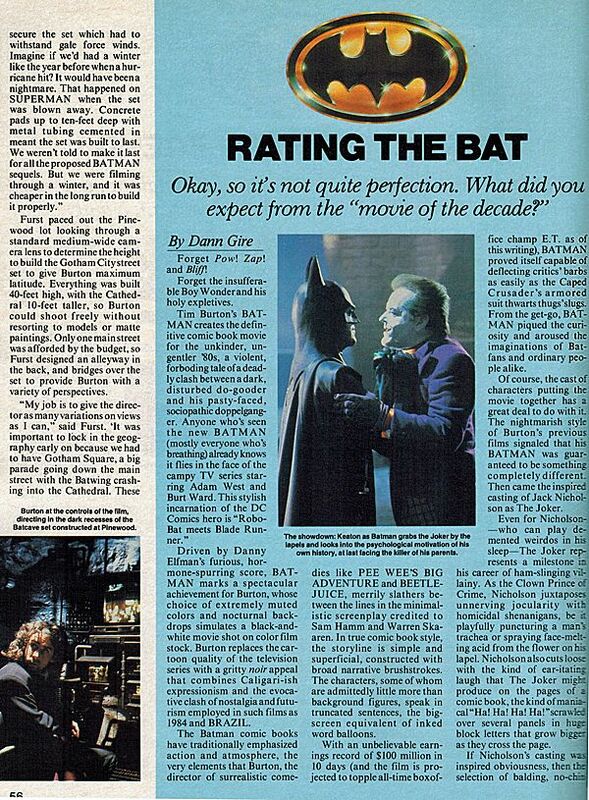 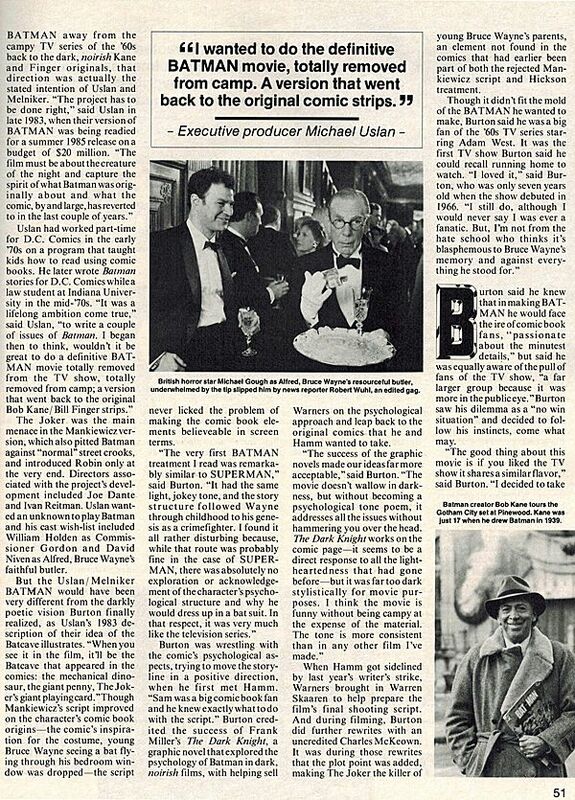 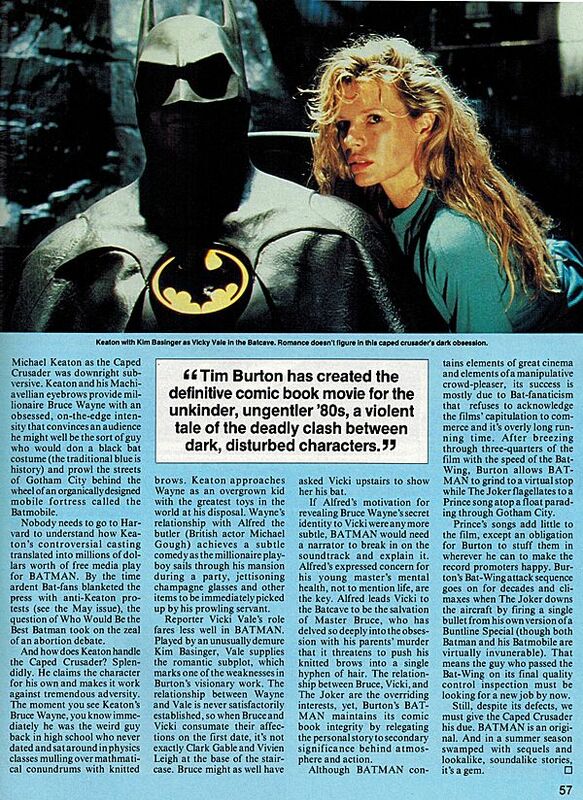 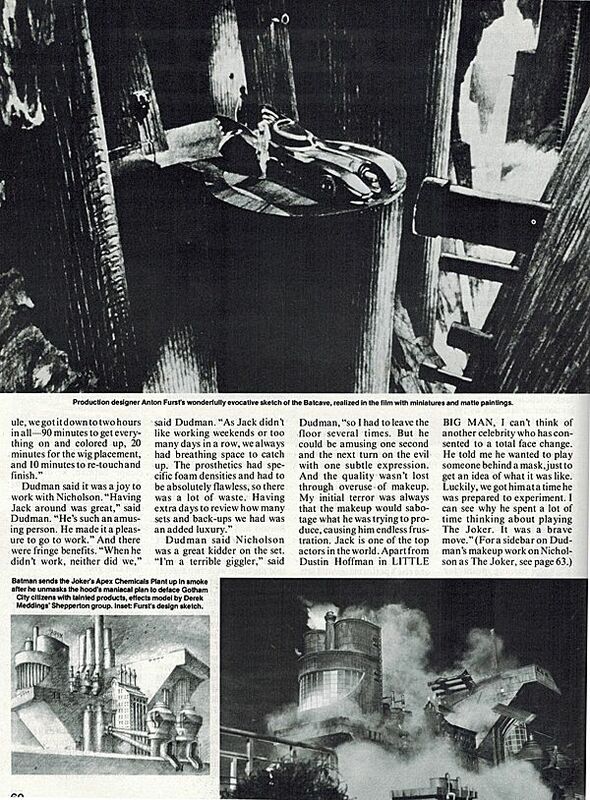 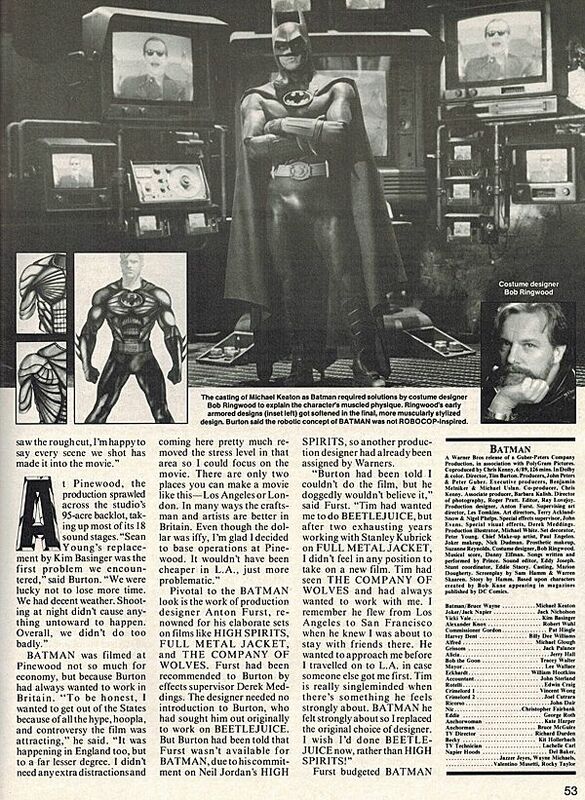 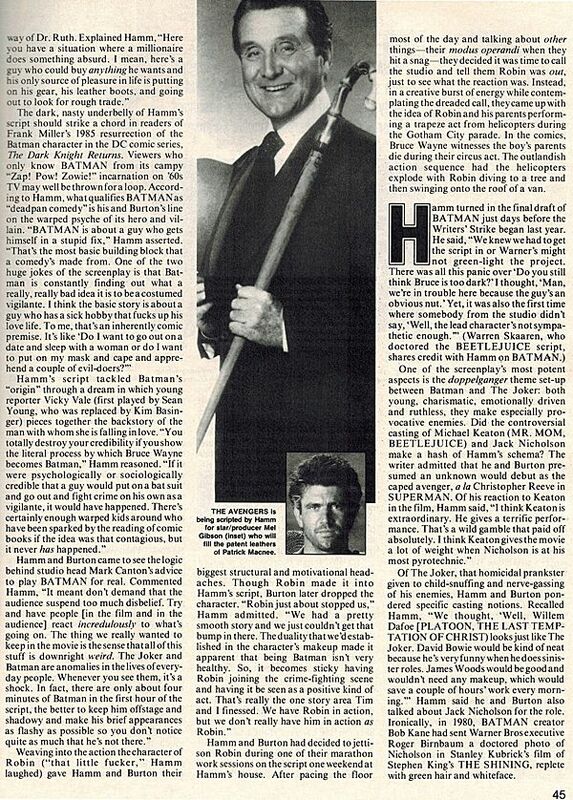 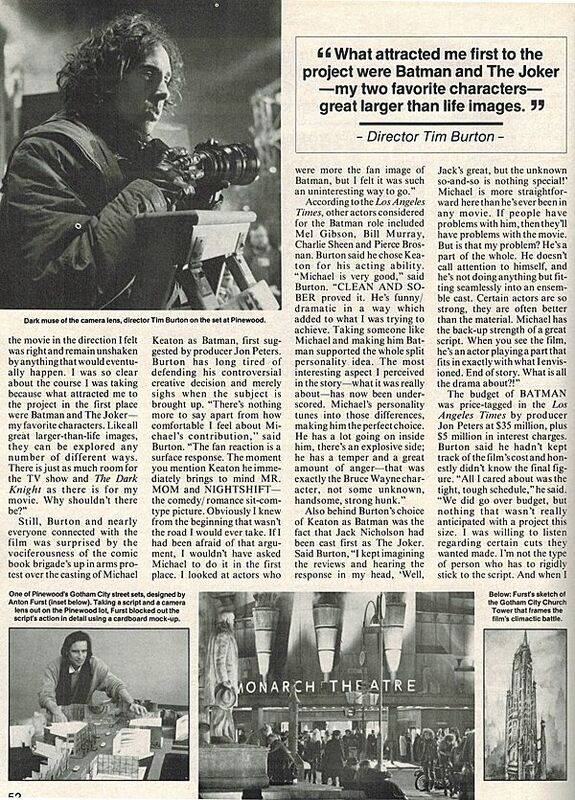 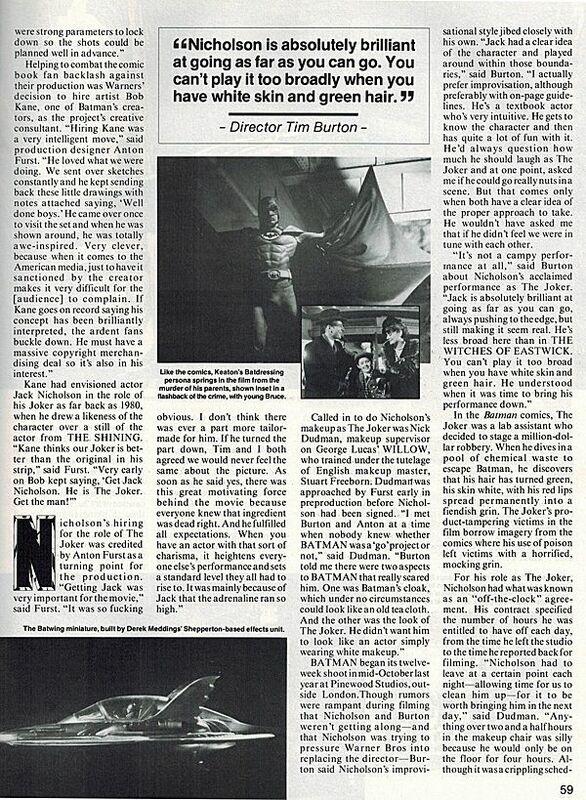 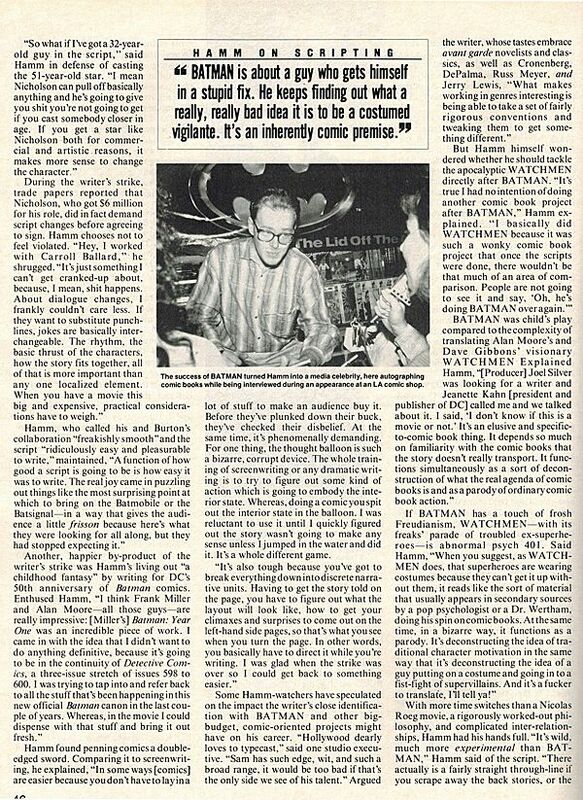 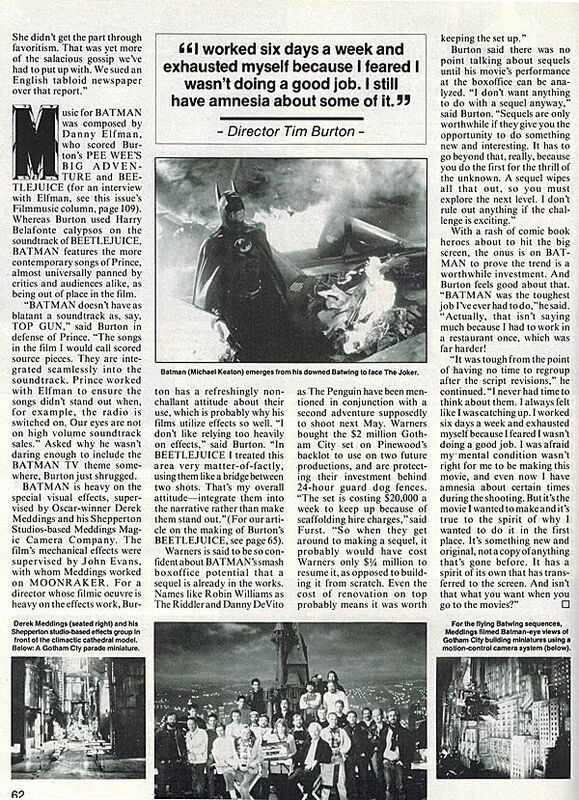 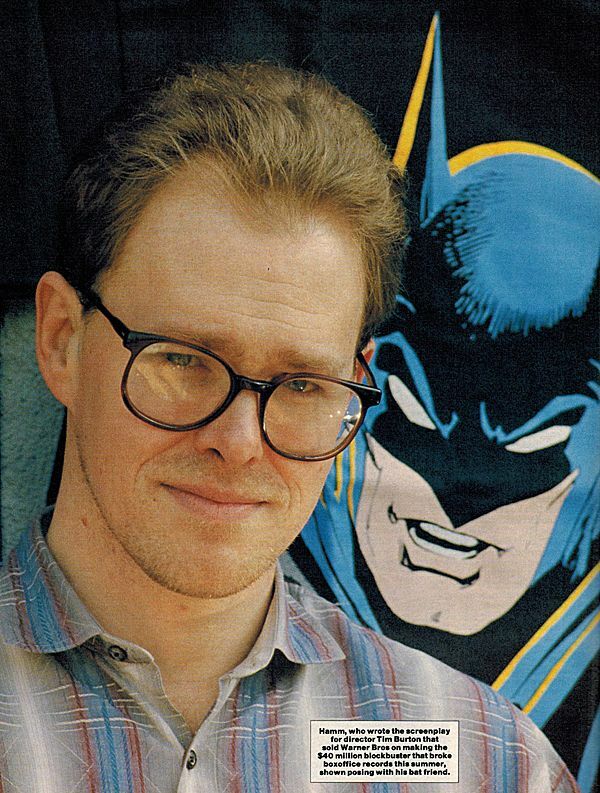 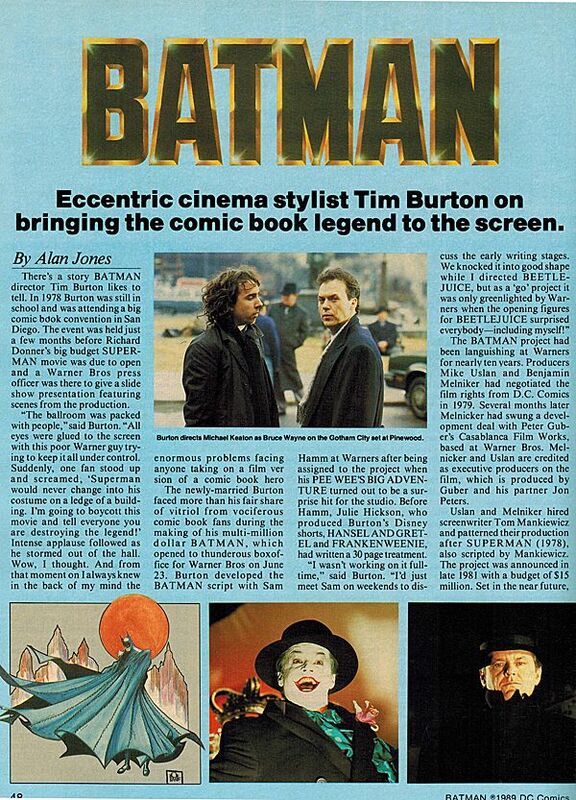 This special "Double Issue" of Cinefantastique offered a lot of bang for a Batman '89 fan's buck. 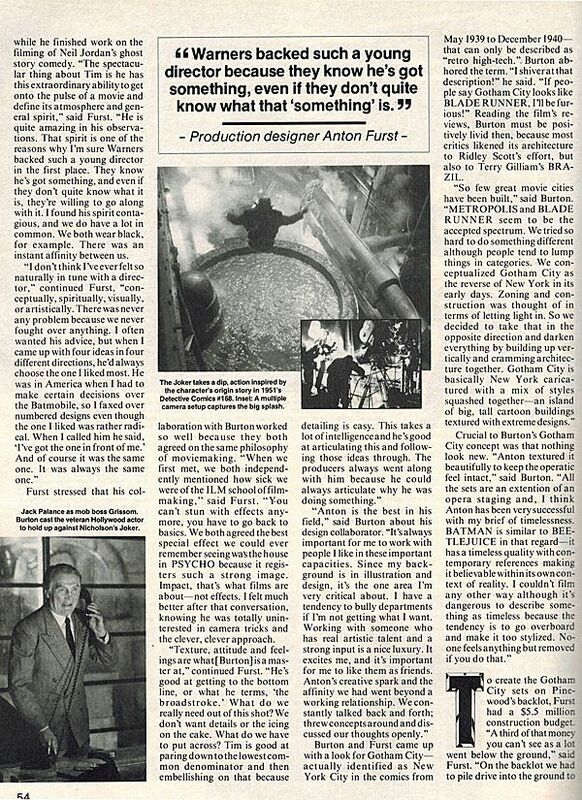 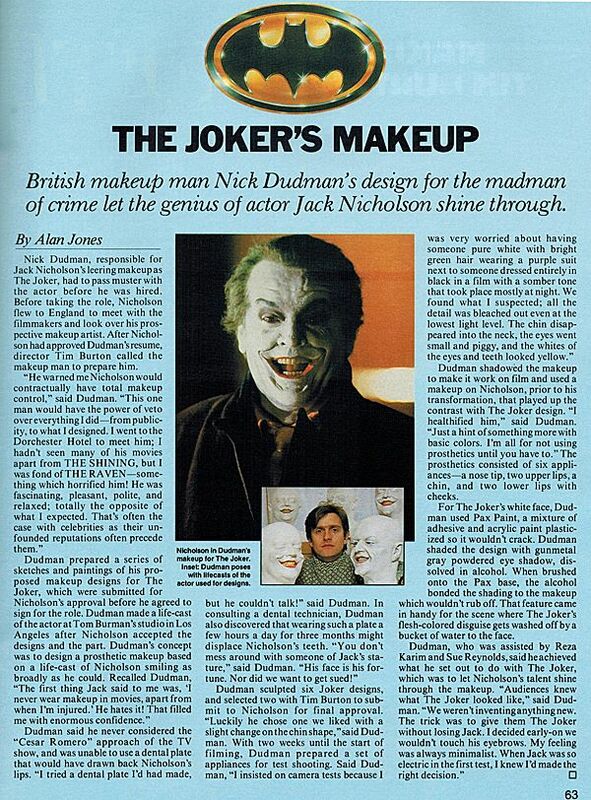 Not only did the magazine showcase an in-depth look at the making of the film, but it also featured side articles on director Tim Burton, screenwriter Sam Hamm, makeup effects guru Nick Dudman, designer Anton Furst, and much more! 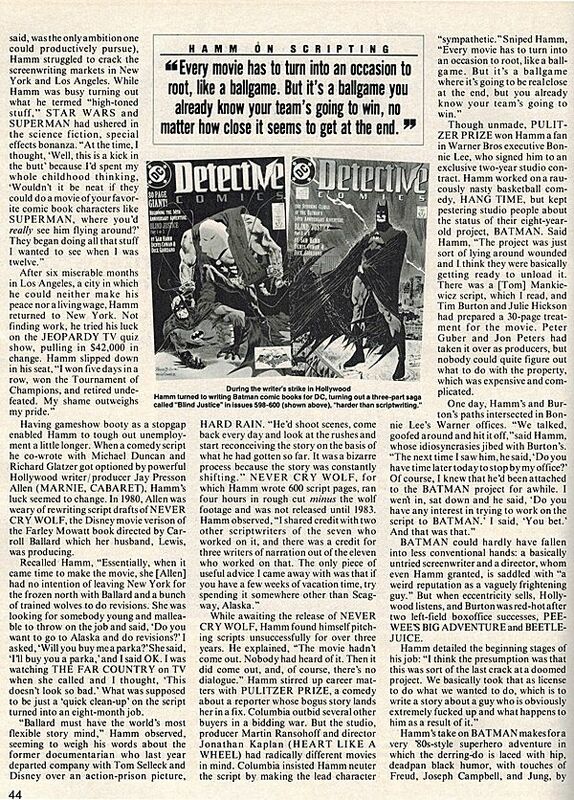 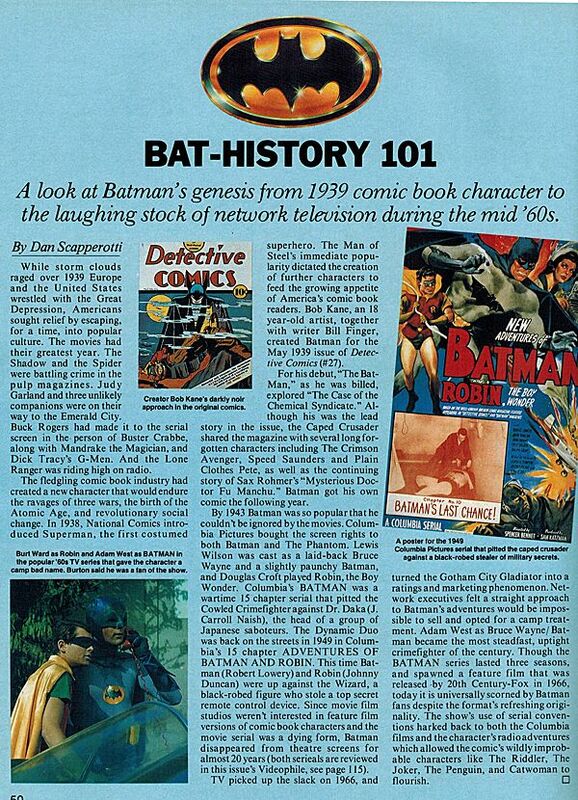 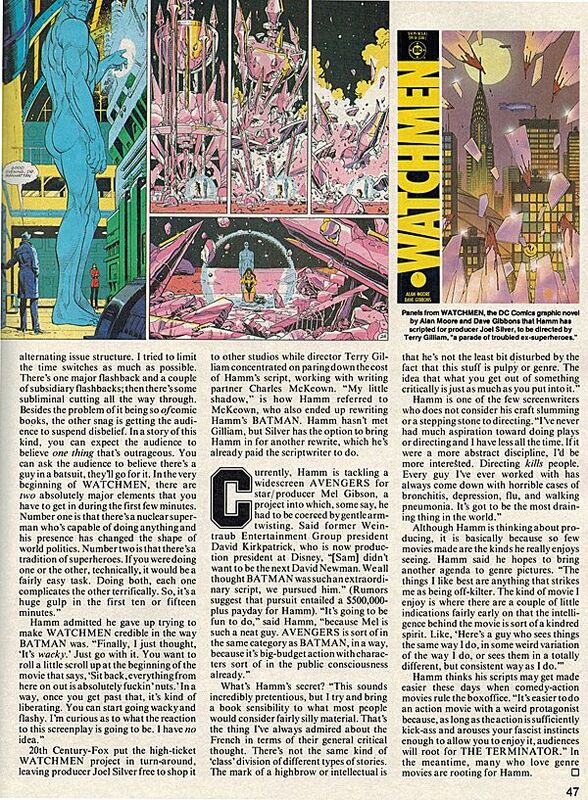 Seriously- Even if you read the scans below of all the pertinent Bat-pages from the issue, no '89 fan should be without this book. 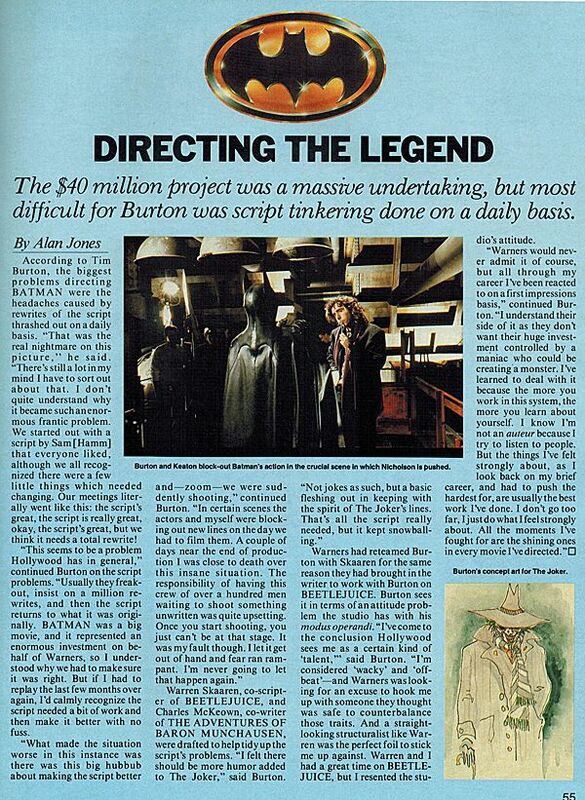 Truly, one of the best of the magazines focused on the film available.